Looking for search engine optimization services to improve website rankings? Our Chicago based search marketing team excels in technical website optimization in relation to on-page search engine optimization, site structure, link evaluation as they relate to website rankings and indexing. We are committed to providing effective search engine optimization campaigns with a focus on providing personal and professional website optimization services with care for businesses of all sizes including small businesses and large corporations. We’re ready to help you with everything from custom website audits from an SEO perspective to local SEO services to assist people online that are looking for your specific products and services in your area and get them to call you. You can even outsource SEO campaigns to us in order to free up time with other marketing initiatives. 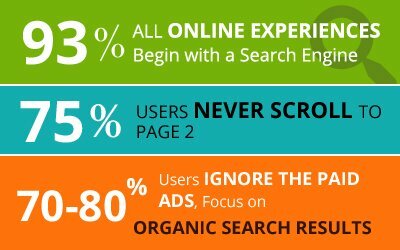 Why Site and Search Optimization? Our Web site optimization services makes your company web site visible to both prospects and search engines, such as Google, Yahoo! and Bing. Using proper website optimization techniques for your online business can help your company keyword rankings grow very rapidly. The higher a website rankings appears in the search engine results pages (SERP’s), the more visitors your website will receive from the organic search. Search engine optimization is able to provide your online business with much more targeted leads than any other form of marketing with a higher ROI over the long run. In short, you don’t have to utilize pay per click advertising for top rankings. Consultation. Your campaign SEO consultant will meet with you to ensure we understand your business, online reputation, your products and services, competitive landscape and your target audience. Web site Analysis. 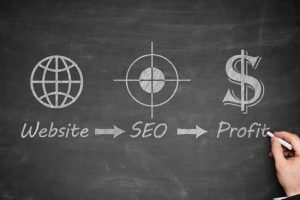 We evaluate your website structure, page meta-data, content, and other factors critical to search engine optimization success. This may also include Google analytics and Pay Per Click analysis. Keyword Research. We assess the competitiveness of the keywords related to your business offerings and develop a cost-effective strategy to target search phrases that will bring you targeted leads. Roadmap Creation. Our SEO team will meet and create a detailed plan outlining tasks to be completed during the project implementation. Campaign Execution. We complete the tasks in the roadmap and work with you to get necessary changes to your site implemented. Search engine optimization leads have a 14.6% close rate, 70% of the links search users click on are organic, 79% of search engine users say they always/frequently click on the natural search results. SEO Fuel’s marketing team establishes website relevance and trustworthiness for businesses like yours every day. All website optimization packages are custom-quoted so please contact our Chicago office to learn more. SEO Fuel Marketing produces search engine optimization results at an affordable rate, it’s that simple.